Royal Caribbean’s latest upcoming ship, Spectrum of the Seas, is slated to be the biggest and most upscale ship to sail China and Singapore when it sets sail in April 2019. Spectrum of the Seas’ maiden voyage will be marked by a 51-night Global Odyssey cruise from Barcelona to Shanghai, where she will homeport and continue to offer itineraries to desirable Asian destinations, before repositioning to Hong Kong in the winter. This 4,246-guest ship, the first of the all-new Quantum Ultra-Class, will have 1,551 crew members plus a handful of unique, never-before-seen features that are expected to revolutionize the Chinese market. Among Spectrum of the Seas’ groundbreaking innovations, you will discover new stateroom categories (including two-level Family Suites that can accommodate up to 11 guests! ), an exclusive private retreat just for suite guests, a magnificent 3-level main dining room, brand new specialty dining options, and cutting-edge entertainment options like you’ve never experienced before among much, much, more! Perfect for large family vacations or for travelers of all types, you don’t want to miss out on experiencing this breakthrough cruise ship. What truly puts Spectrum of the Seas in the spotlight and makes it stand out from the crowd is its wide variety of modern, innovative and exciting entertainment options! You’ll be blown away by all of the magnificent things to do and see onboard this captivating vessel. 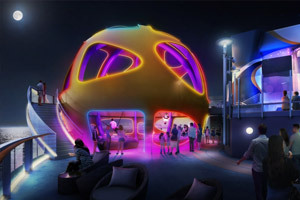 Exclusive to Spectrum of the Seas and a first for Royal Caribbean overall will be Star Moment, a brand-new karaoke lounge, plus SeaPlex (the biggest and most technologically-advanced indoor sports complex at sea), and a virtual reality bungee jumping adventure. Other entertainment features include North Star, an observation deck that rises 300 feet into the sky, Sky Pad, a virtual skydiving and surfing simulator, and Two70◦ panoramic observation lounge with windows that can magically transform into digital screens! Spectrum of the Seas will boast an exceptional array of staterooms designed to meet the needs of all travelers, including the all-new, innovative, first-rate family staterooms. Each Ultimate Family Suite will feature two levels and almost 3,000-square feet of space that can accommodate up to 11 guests! With three separate bedrooms, there’s plenty of room for mom, dad, the kids and even the aunts, uncles, and grandparents! The beautiful master bedroom has an expansive bathroom that stretches over the ship’s side to provide you with breathtaking views. 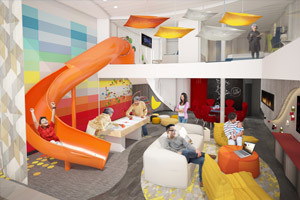 The upper level of each suite offers children their own exclusive area with an in-room slide that brings them right into the heart of the room. There’s even a dedicated recreation room where the entire family can have fun enjoying karaoke, movies, and video games. Dining onboard Spectrum of the Seas takes satisfying your hunger to astronomical levels. Upon stepping aboard, you will discover a spectacular 3-level main dining room where you can enjoy different Chinese and European-inspired dishes each day. The informal Windjammer Marketplace buffet will be 20% larger than the ones on other Quantum-Class ships and will serve up a fabulous variety of foods for you to choose from. 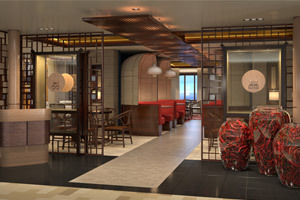 Spectrum of the Seas will also highlight Sichuan Red, an all-new specialty restaurant serving Sichuan-inspired meals, plus many other specialty dining favorites from Royal Caribbean. 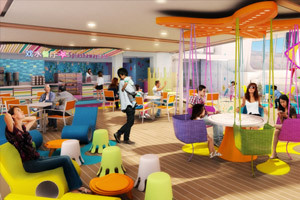 Large families who want to take the cruise of a lifetime without having to separate into multiple small staterooms can stay together for the whole cruise when booking an Ultimate Family Suite onboard Spectrum of the Seas. Complete with entertainment options for all to enjoy, plus kid-friendly features and three bedrooms, these spacious staterooms are a great option for enhancing the quality time that your family spends together. A first for Royal Caribbean, Spectrum of the Seas will feature an exclusive private, 3-story enclosed area reserved exclusively for Golden and Silver suite guests. This special area, accessible only by keycard, will feature a private elevator, its very own restaurant, and a spacious lounge plus The Balcony, an expansive sundeck area with the best views and restricted from public access, and The Boutique, which hosts private shopping trips. Enhance your rewarding vacation to an even better level by booking a suite and enjoying this wonderful private enclave. 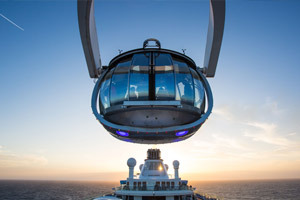 Originally featured onboard Quantum of the Seas, this revolutionary concept is a multi-level space aptly named for its magnificent 270-dgree panoramic sea views through vast, floor-to-ceiling glass walls that span almost three decks at the ship’s stern. Two70◦ seamlessly fuses entertainment and technology to create a transformative journey from day to night. The perfect setting to connect with the sea during the day, Two70◦ provides a modern and comfortable living room space for guests to sit back and relax. As the sun sets and the lights go down, the dazzling space gradually reveals its evening persona, delighting you with spectacular, mysterious and unexpected entertainment at night. Unparalleled technology means every show at Two70◦ is multidimensional and immerses the audience through a combination of live performers, including aerialists, as well as breathtaking video and digital scenery. Have you ever wanted to try skydiving or surfing? You can when you sail onboard Spectrum of the Seas, which features both Ripcord by iFly® (a thrilling skydiving simulator) and FlowRider® (a fun surfing simulator). Enjoy the sheer thrill and exhilaration of skydiving in a safe, controlled and simulated environment or hang ten and catch a wave right onboard, all without having to leave the ship! 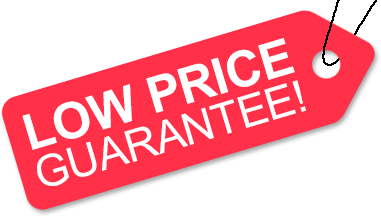 Low Price Guarantee on all Spectrum of the Seas Cruises! Book any Royal Caribbean cruise with us and you'll get the best deal possible, regardless of the ship or sail date! Because of our "Low Price Guarantee," nobody beats our Spectrum of the Seas cruise prices, so look around and you're sure to find the best Spectrum of the Seas cruise deal possible when booking with us! Pre-Paid Gratuities on Spectrum of the Seas Cruises! Spectrum of the Seas Onboard Credit Sale! Get an Onboard Credit when you book a Spectrum of the Seas cruise with us. The value of the Onboard Credit depends on the particular cruise and accommodations you book. Onboard Credit values are listed on Step 3 of the online booking process. We do not charge booking fees on any cruises! You're sure to enjoy an affordable Spectrum of the Seas cruise when booking with us! Our special offers on Spectrum of the Seas cruises may not be combinable. Certain restrictions apply to each offer. View terms and conditions during the online booking process. Click a price below to view the Spectrum of the Seas cruises during that month in that destination. The Ultimate Family Suite is two expansive stories of awesome thrills on every level, from your very own in-suite slide where there’s never a line to a private 3D cinema that’s perfect for karaoke nights and making family memories. The Grand Loft Suite is a two-decks-high stateroom with panoramic views. The main level has an open living/dining room with double sofa bed, bathroom and private balcony with dining area. On the second level, the master bedroom has a king size bed with Duxiana Mattress and a private bathroom. The Owner's Suite features two twin beds (convertible to king-size), a sitting area with one double sofa and a private balcony. All staterooms and suites come complete with private bathroom, vanity area, hair-dryer, closed-circuit TV, radio and phone. The Grand Suite features two twin beds (convertible to king-size), a full bathroom with tub, two sinks and second entrance that opens to living room. Living room with sofa that converts to double bed, entertainment center, and writing desk. Private balcony with seating area and private dining. All staterooms and suites come complete with private bathroom, vanity area, hair-dryer, closed-circuit TV, radio and phone. The Golden Junior Suite features two twin beds (convertible to king-size), with a private balcony. All staterooms and suites come complete with private bathroom, vanity area, hair-dryer, closed-circuit TV, radio and phone. The Golden Balcony features two twin beds (convertible to king-size), with a private balcony. All staterooms and suites come complete with private bathroom, vanity area, hair-dryer, closed-circuit TV, radio and phone. The Silver Junior Suite features two twin beds (convertible to king-size), with a private balcony. All staterooms and suites come complete with private bathroom, vanity area, hair-dryer, closed-circuit TV, radio and phone. The Spacious Oceanview Balcony features two twin beds (convertible to king-size), with a private balcony. All staterooms and suites come complete with private bathroom, vanity area, hair-dryer, closed-circuit TV, radio and phone. The Oceanview with Large Balcony features two twin beds (convertible to king-size), with a private balcony. All staterooms and suites come complete with private bathroom, vanity area, hair-dryer, closed-circuit TV, radio and phone. The Oceanview with Balcony features two twin beds (convertible to king-size), with a private balcony. All staterooms and suites come complete with private bathroom, vanity area, hair-dryer, closed-circuit TV, radio and phone. This Oceanview with Balcony features two twin beds (convertible to king-size), with a private balcony (obstructed view). All staterooms and suites come complete with private bathroom, vanity area, hair-dryer, closed-circuit TV, radio and phone. The Studio Oceanview with Balcony one single full-size bed, with a private balcony. All staterooms and suites come complete with private bathroom, vanity area, hair-dryer, closed-circuit TV, radio and phone. Single occupancy stateroom, no single supplement. The Spacious Oceanview Balcony features two twin beds (convertible to king-size), a sitting area with sofa and a large forward-view panoramic window with seat and lounge chair. All staterooms and suites come complete with private bathroom, vanity area, hair-dryer, closed-circuit TV, radio and phone. The Oceanview Balcony features two twin beds (convertible to king-size) and asitting area with sofa. All staterooms and suites come complete with private bathroom, vanity area, hair-dryer, closed-circuit TV, radio and phone. The Interior with Virtual Balcony features two twin beds (convertible to king-size), with a high defintiion screen that spans nearly floor to ceiling, providing real-time views of the ocean and destinations. All staterooms and suites come complete with private bathroom, vanity area, hair-dryer, closed-circuit TV, radio and phone. The Interior stateroom features two twin beds (convertible to king-size) . All staterooms and suites come complete with private bathroom, vanity area, hair-dryer, closed-circuit TV, radio and phone. The Studio Interior stateroom features one single full-size bed. All staterooms and suites come complete with private bathroom, vanity area, hair-dryer, closed-circuit TV, radio and phone. Deck plans of Spectrum of the Seas are subject to change. We reserve the right to correct errors. Please verify all information with the cruise line directly. For photos of staterooms, please click the accommodations tab provided above. Some of the images are computer generated and reflect proposed design, while some are actual images but may vary on Spectrum of the Seas. Designs, features and itineraries are subject to change.